As the cold weather sets in, it's important to know how to care for your dogs and cats. Cold temperatures can pose serious health risks to your pets, so it's important to take the necessary precautions if they're spending time outdoors this winter. Fortunately, by making a few simple changes and visiting a veterinary clinic, you can keep your pet healthy — no matter what the forecast holds. Here are a few tips to keep your furry friends happy and safe all season long. Cold weather can cause a range of potentially fatal conditions for pets, ranging from hypothermia to frostbite. Before the weather starts to turn, make an appointment with your animal’s veterinary clinic for a preventative checkup. During this appointment, make sure your animal is healthy enough to be outside, and ask the vet about the condition of their coat. Long-haired or thick-coated dogs such as Huskies or Samoyeds are more tolerant of the cold, but short-haired canines such as Beagles, Labrador Retrievers, and Greyhounds are more prone to hypothermia. Very young, old, or ill animals are also more susceptible to hypothermia. Although the American Veterinary Medical Association (AVMA) recommends keeping pets inside during cold winter weather, extended periods of time outdoors is okay in some climates. In any case, animals still need access to a warm, safe space where they can seek refuge from the cold if they get chilled during their outdoor excursion. Invest in an insulated outdoor pet space, and check on your animal when they are using the shelter to see if they are warm and comfortable. To keep your pet safe, bring smaller, shorter-haired breeds inside as soon as the temperature drops below 40 degrees Fahrenheit. If you have larger, furrier animals who are well-acclimated to the cold, they should still be brought inside anytime the temperature is projected to dip below 0 degrees. During the winter, pets can pick up a variety of different chemicals on their paws that could be dangerous to their health, including anti-freeze, ice melt, and road salt. After walks or any other time spent outdoors, wipe their paws down with a warm, wet washcloth to prevent accidental ingestion. Before winter weather starts impacting your animals, stop by and see the team at Parker Animal Clinic today. For over 17 years, this beloved veterinary clinic has been trusted by pet owners throughout the greater Clarksville, AR, area because of their commitment to excellence. 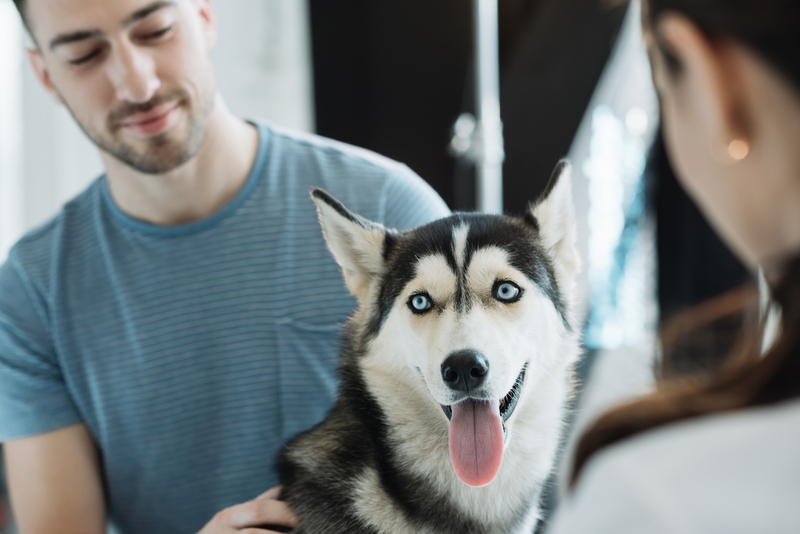 In addition to offering preventative and emergency pet care, they also offer discounted medicines and pet food, after-hours care, in-house blood work, and special tests for a variety of animals. To learn more about their veterinary clinic, visit them online, or give their office a call at (479) 754-5656.